The exhibition by local artist Tony Tribe will come to an end next week. Why not pop into Outpatients and have a look? 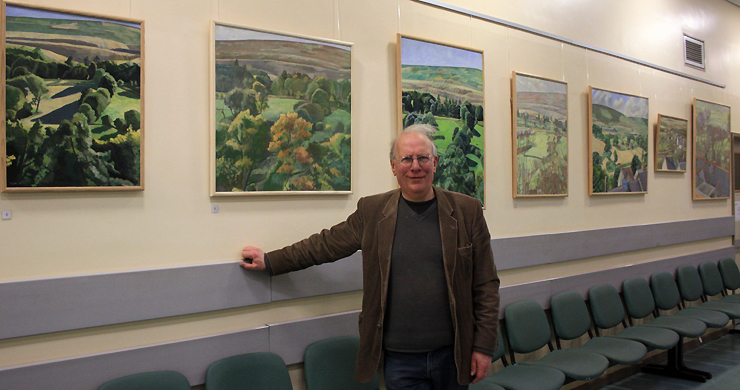 Tony’s paintings feature a small area of mountain landscape seen from his studio window in Blaenavon. They have been painted over the last twenty years and are his response to a singular and striking view. All were painted over periods of weeks or even months but Tony has attempted to distil a certain essence of mood in each. This mood is to do with a specific lighting and time of day in a particular season or time of year. Tony was born in London in 1947 and studied painting at Camberwell School of Arts and Crafts. Tony has taught part time in many locations, most recently in Monmouth School. You can see photos of the exhibition in our Gallery. Tony’s show is the 29th in a series of exhibitions in and around Nevill Hall Hospital, organised by Gwent Arts in Health. 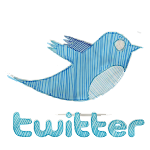 Garth is a local charity that aims to help realise the potential of the arts in promoting health and wellbeing. Local Artists and groups are welcome to exhibit – for more information please contact Garth. The next exhibition will be from Sylvia Pitman, Brian Wheeler and Tony Godfrey of Eastern Valleys Artists.